Use the Trip Finder to explore our sample Canadian trip ideas. Get a personalized trip plan to cover everything you want to see and do. Need help with planning your trip to Canada? The pleasures of this two-week self-drive lie in meandering at your own pace through stunning landscapes, historic towns, and quaint fishing villages – enjoying the unique charm and a culture that is distinctly Celtic and Canadian at the same time. Choose from a selection of guided cultural, wildlife, and sightseeing experiences. Is it safe to drive in Canada? New visitors will drive with ease because of the wide and well maintained roadways. We'll ensure your trip includes the most spectacular and safest routes throughout your trip. All our trips can be customized to fit your schedule and budget. The price depends on travel season, train service, hotel level, and the sightseeing tours you choose. Request your personalized trip plan which will provide you with a detailed cost estimate. Below you'll find examples of this trip's accommodations. Please call us for the full list and to personalize your experience. The Prince George Hotel, attached to the World Trade & Convention centre, is located in downtown Halifax and right next door to the Halifax Metro Centre. The main focus of the hotel is their personalized service. Other features of the hotel are award winning fine dining, a pool & fitness centre, and relaxing garden patios. The Great George is an upscale, award-winning hotel in Prince Edward's Island capital, Charlottetown. With 54 richly decorated suites among 17 carefully restored heritage building, this is one Canada's premiere experiential hotels. Upon arrival in Halifax, enjoy a private transfer from the airport to your downtown hotel. Check into your overnight accommodations and relax for the evening. Let Fresh Tracks Canada make your arrival as seamless as possible with a pre-arranged dinner included at one of our favourite restaurants in Halifax. 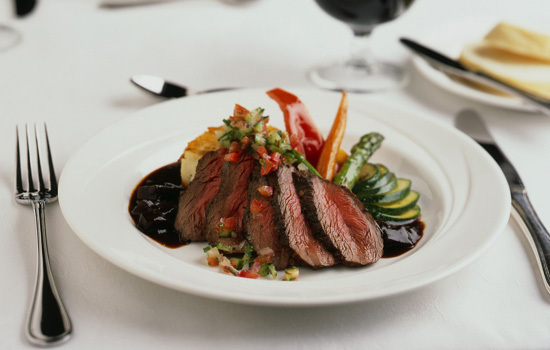 Start your trip with fond memories over an authentic Canadian East coast meal. Halifax is a bustling port with a colourful history. The largest port in Canada’s Maritime provinces, Halifax has strong Celtic links. A town full of history, Halifax is where survivors of the Titanic landed. Today, you’ll want to stroll along the cobbled streets exploring galleries and shops and dine out on fresh lobster, the local delicacy. Relax as a private driver guide tours you around Halifax, viewing historic buildings and modern high rises lining the streets. Visit Fairview Lawn cemetery where Titanic victims are buried, pass by Province House National Historic Site, the 1802 Old Town Clock, 1750 St. Paul’s Anglican Church and many other sites of interest. Join a guided photography tour and visit Peggy’s Cove for sunrise – for the best light and the least number of people in your pictures! 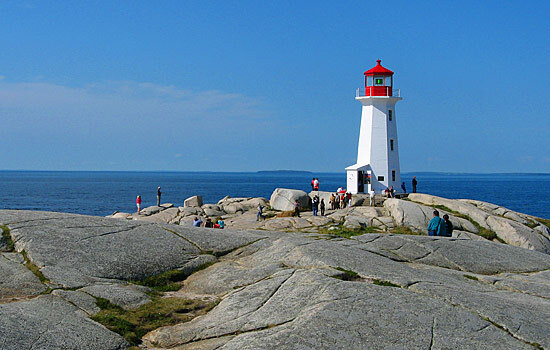 Peggy’s Cove is a picturesque fishing village surrounded by bare granite and coastal barrens and home to Nova Scotia’s most visited lighthouse. This tour is catered to all abilities, from the absolute beginner to seasoned professionals. If you simply travel with your camera phone or iPad, your tour guide will teach you how to get the very best photos with texture and depth. Engage the senses with a food tour of Halifax! Visit historic landmarks, stroll along the waterfront, and taste the best local food in Halifax. From fresh market offerings to local dishes, this tour gives you an authentic taste of the downtown core. Insider tip: If you are not a morning person and would like to explore Peggy’s Cove at sunset instead, make sure to talk to your Vacation Advisor about alternative tour times when you call! Pick up your rental car this morning and drive the South Shore along the Lighthouse Route. Continue past Peggy’s Cove to Mahone Bay, a relaxing seaside town known for its quiet beauty and churches. Further along the route you will arrive in Lunenburg, a unique town in terms of architecture and now a UNESCO World Heritage Site. Departing from Lunenburg Bay on a stunning schooner, the wind is your engine as you dart nimbly through the ocean. Lunenburg is beautiful with the painted buildings and the old town providing the perfect backdrop - with lighthouses to photograph and porpoises and seals on hand to entertain the passengers and crew. Nearing the shoreline, the Eastern Star sails by the old Smith and Ruland shipyard, birthplace of Canada's legendary racing schooners, Bluenose and Bluenose II, and tall ships, the Bounty and the Rose. We cannot think of a finer way to explore this unique location. 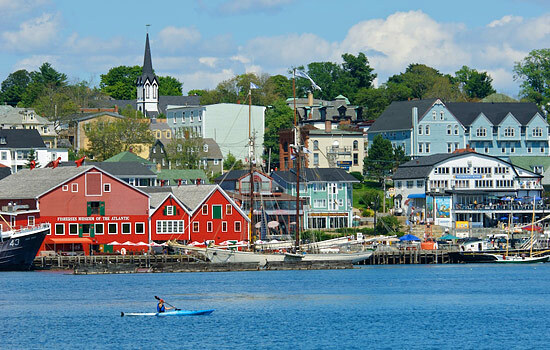 Spend the day in beautiful Lunenburg, home of the famous Bluenose built in 1921. Your walking tour guides will bring the town alive as they describe the stories and folklore of this world heritage site. Depart Lunenburg and drive east into spectacular Kejimkujik National Park. Wander through groves of 300-year-old hemlock trees, follow a trail to an abandoned gold mine, or visit an overgrown farm. The main park has 15-day trails to choose from ranging from short riverside strolls to half-day hikes. Continue to Annapolis Royal which boasts a spectacular view of the Bay of Fundy. 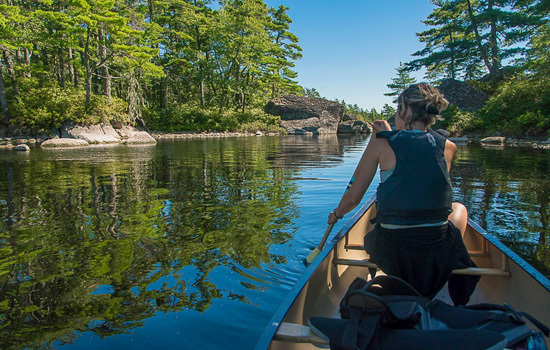 While visiting Kejimkujik park, a self-guided canoe or kayak rental can be included. Enjoy the serene calm of the lake waters as you paddle through the park. Insider tip: Join an unforgettable candlelight graveyard tour at Fort Anne in Annapolis Royal. Explore the oldest English graveyard in Canada with internationally acclaimed heritage interpreter Alan Melanson. Not to be missed! No reservations required. Enjoy the many sights of the historic Annapolis Royal area at your leisure – visit the Fort Anne National Historic Site, Annapolis Royal Historic Gardens, Garrison Cemetery and the Military Museum, to name but a few. As the mist lifts from the water, the sea birds dive into the bay searching for a meal. Feel the thrill as you see the first spray from a whale breaking the surface. Humpbacks are the most likely to be seen, as they flipper slap, tail lob, and defy gravity breaching out of the water. 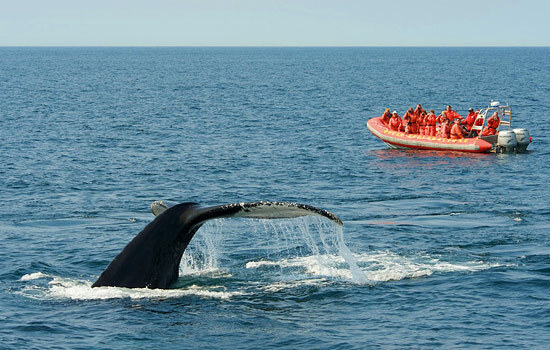 The Bay of Fundy is a vast area and home to many whale species. 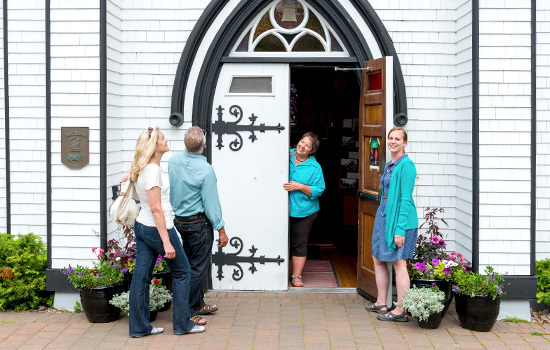 Spend the day exploring the historic streets of Digby on a guided walking tour through this active fishing community. From classic architecture of gothic revival and 1800s Georgian homes to discovering the active Fisherman’s Wharf where the famous Digby scallops are brought in by the Scallop Fleet, your guide will show you the highlights of this little town. 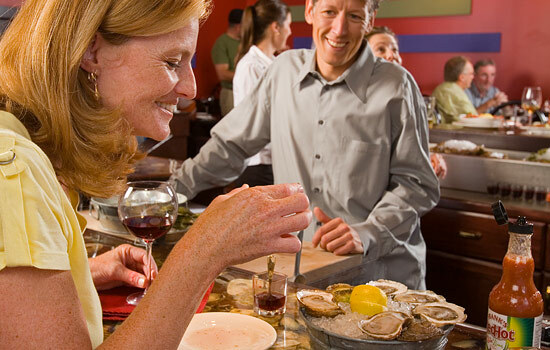 Top off your tour with a succulent seafood sampling. The shores of the Annapolis Basin and Bay of Fundy are your destination today. 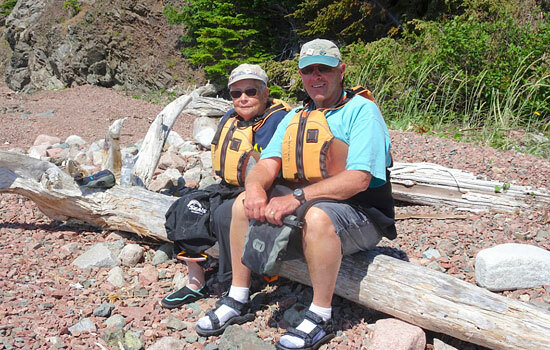 Your guide leads you along the rocky shoreline for a close-up view of the flora and fauna living in conjunction with the giant tides of the Bay of Fundy. Explore tide pools and ecosystems – discovering unique creatures like sea anemone and sea slugs along the way. Insider tip: Nova Scotia produces some of the best wines in Canada. Surprised? Convince yourself with a visit to the Grand Pré Winery – enjoy top quality local wines within a beautiful setting. Winery tours are offered daily in the summer season (11am, 3pm, and 5pm) and can be paid locally with no reservations required. From Annapolis Royal, drive to nearby Digby and enjoy a 2-hour ferry ride across the Bay of Fundy. Keep your eyes open for whales! 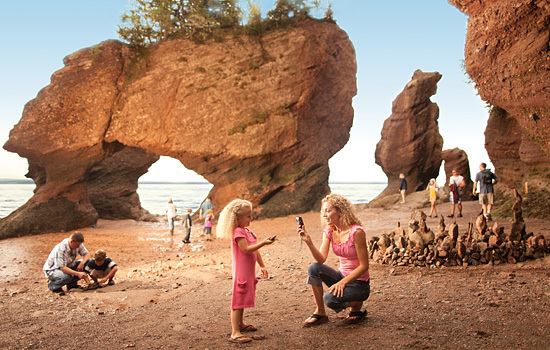 Upon arrival, drive to the charming village of St. Martins – gateway to the spectacular Fundy Trail. Check into your inn accommodation, then take a stroll to see St. Martins’ mysterious sea caves or incredibly photogenic harbour. A spectacular day awaits as you drive along the Fundy Trail to the Bay of Fundy’s Hopewell Cape area. Admire untouched coastal wilderness, characterized by red craggy cliffs and the highest rising tides in the world. The coastline extending from St. Martins has been designated as the Fundy Biosphere Preserve by UNESCO for its remarkable geological formations. Discover mossy caves, dramatic cliffs, charming coves, and curious sea life as you explore the area by zodiac. Marvel at the dramatic tides of the Bay of Fundy as you venture along the red rock cliff shoreline on a guided kayak tour. The St. Martins sea caves are the biggest attraction in the area, best to be explored by boat. Visit Hopewell Rocks – also known as “Flowerpots” – which slowly disappear and reappear with the dramatic rise and fall of the Bay of Fundy tides. See the world’s highest tide and later, enjoy the juxtaposition of walking on the sea floor. Drive the Confederation Bridge this morning and arrive on Prince Edward Island. Explore the red sand beaches and red jutting cliffs of the South Shore, and make sure to detour along the many pastoral rural roads. We recommend stopping for lunch in postcard-worthy Victoria-by-the-Sea, before arriving in Charlottetown. 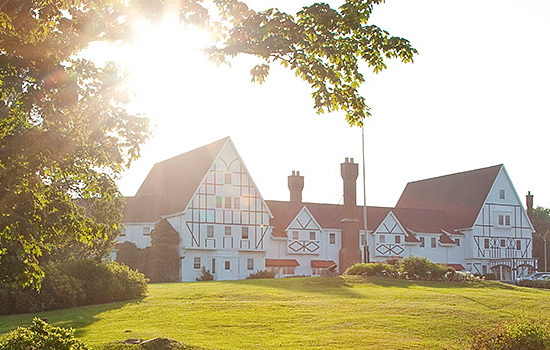 Insider tip: If you prefer to stay in the idyllic countryside of Prince Edward Island, speak to your Vacation Advisor about changing your accommodations to a stay at St. Peter’s Bay. 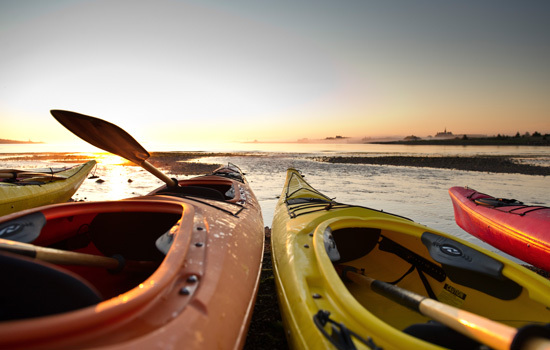 PEI lends itself perfectly to outdoor pursuits – paddle along the red sandy shores and perhaps even take a dip in the pristine, warm waters of the Gulf of St. Lawrence. You can choose to explore the coastline from the vantage of the ocean with the cliffs soaring 30 feet above you as you navigate alongside the beautiful beaches of PEI National Park. Tour includes a healthy snack. Breathe in the salt air and feel the tingle of a gentle breeze against your skin. If you dare, haul a lobster out of its trap and then savour a meal of traditional Prince Edward Island lobster supper - all whilst you’re aboard a boat sailing the high seas. Discover by bicycle – cycle along the red sandy shores along the pristine waters of the Gulf of St. Lawrence. The beautiful landscape is perfectly suited to travel by bike. Tour includes a healthy snacks. Today is yours at leisure to explore Prince Edward Island’s small towns and picturesque landscapes. You might also enjoy exploring the dunes of Greenwich in Prince Edward National Park, savouring “Rick’s Famous Fish ‘n Chips”, or renting bicycles for a charming ride along the Confederation Trail. Let us arrange a wonderful day with a personal guide to tour you around the Island. He’ll ask about your interests and infuse your trip with a blend of hidden gems, highlights, stories, and humour. Drive the scenic road to the Wood Islands ferry, then cross to Pictou - the birthplace of New Scotland. Continue over to Cape Breton via the Canso Causeway. Your journey completes at the town of Baddeck, set on the shores of the gorgeous Bras d’Or Lakes. Located in the heart of Cape Breton, Baddeck is considered the beginning and end of the Cabot Trail. Welcome to the southern shore of Cape Breton, places to explore today include the Fortress of Louisbourg National Historic Site, the largest historical reconstruction in North America, or explore the Alexander Graham Bell Museum. For boat enthusiasts, the beautiful Bras D’Or Lakes are famous for sailing excursions. Join your guide as you paddle past eagles’ nests and waterfalls. Stop for a delicious snack on a small beach then continue past the old mill and hear the stories of past inhabitants and the lobster fishermen whom you can still occasionally see collecting their traps. Tour is suitable for beginners. Travel to the Bird Islands which are an official bird sanctuary located one mile off Cape Dauphin. The islands are home to a large number of sea birds; bald eagles, arctic terns, common loons, common eiders, white winged and surf scoters, red breasted mergansers, belted kingfishers and great blue heron. And of course, when you’re not busy viewing birds you’ll be captivated with the spectacular rugged coastline and maybe even a whale! Insider Tip: Join a local Baddeck Ceilidh (pronounced Kay-lee), for a fun night of song, dance, and discovery. 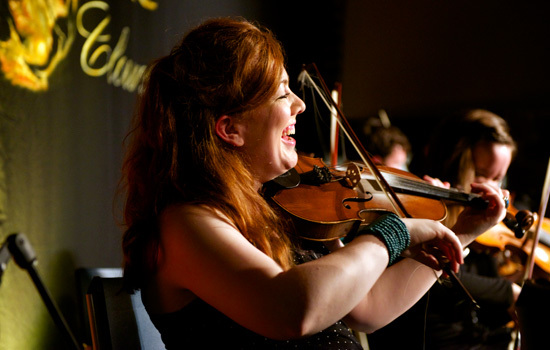 The Ceilidh is a traditional Celtic gathering of musicians, in which anyone can join in. You’ll hear upcoming and experienced Celtic musicians play their art, you can join in songs, enjoy stories, and even learn dance steps if you wish. No pre-booking, tickets available at the door (cash only). 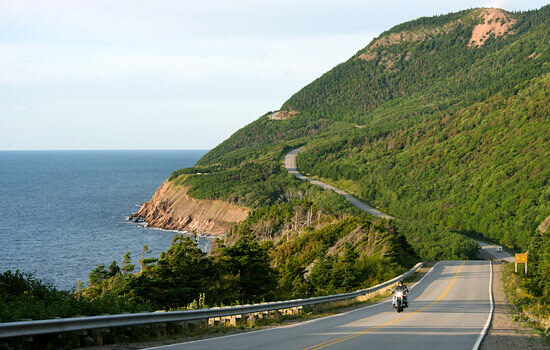 Today explore the famous Cabot Trail – one of the most spectacular drives in all of Canada. The trail winds around the rocky splendours of Cape Breton’s northern shore, ascending to the incredible plateaus of Cape Breton Highlands National Park. 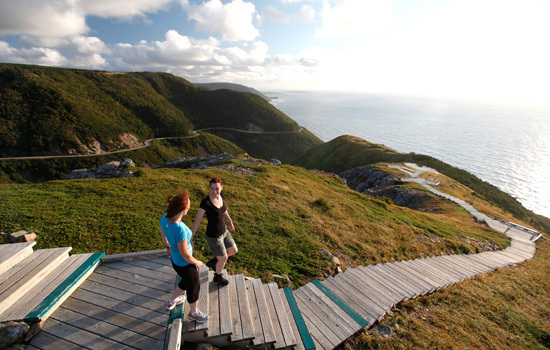 For the more adventurous – Cape Breton Highlands National Park has 26 hiking trails ranging from 20-minute short walks to challenging hikes through stunning mountain and coastal landscapes. A three to four-hour drive brings you back to Halifax today. 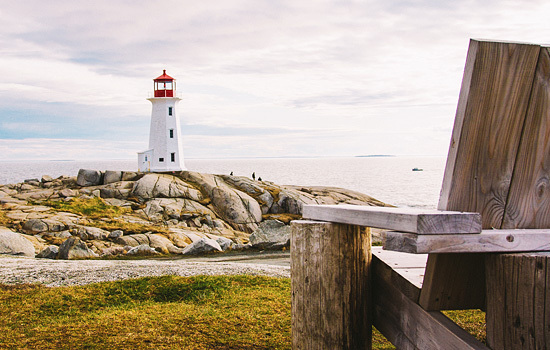 Take your time to explore the charming towns along your drive before spending your final night in Halifax. Your Atlantic Canada vacation comes to an end today as you make your way to the airport to return your rental car. With fond memories made, leave the fresh air of Canada behind as you fly home. • Friendly and dedicated Fresh Tracks Canada customer service – from the time you book, you are assigned your own	personal Vacation Coordinator whom you can reach out to with any questions or requests. • Halifax Tasting Tour departs on Sundays, Mondays & Tuesdays. On other days of the week, an alternate tasting tour will be substituted. 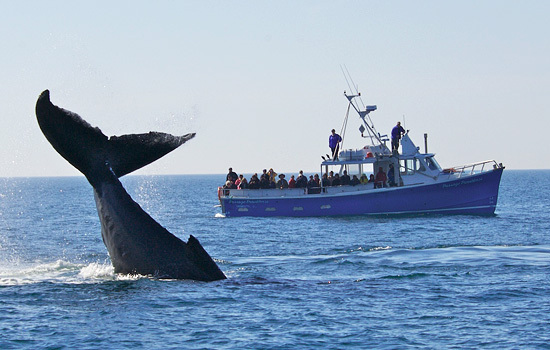 • Annapolis Valley Whale watching tour is available between June 16 and September 11 departure dates. • Kayak and zodiac boat tours departure times will vary throughout the season as they are based on the tidal schedule. • Lobster Dinner and Cruise in PEI is available between June 23 and September 5 departure dates. • Kayak tour on PEI is available between May 6 and Sep 21 departure dates. • Puffin and Seabird Viewing tour is available between May 30 and August 10 departure dates. • All outdoor tours and boating tours may be subject to delays and cancellations due to unpredictable weather conditions. • Car rental exclusions: GPS, LDW deductible of up to $500 depending on car type, Personal Accident Insurance (PAI), Personal Effects Coverage (PEC), fee for drivers under the age of 25, fuel and refueling fees. * Additional dates in May and late September are available with customizations of this itinerary. Our prices vary by departure date, hotel class, train service and degree of personalization. Please speak with one of our Canadian Insiders to get your personalized quote, or hit the button below. On our Self Drive Adventures, you'll enjoy hand picked accommodations, unique Canadian experiences with our favorite guides, car rental, a custom documentation package and our ongoing customer service as you travel. These prices and itineraries are just a guide - our team of friendly Canadian experts are standing by to personalize your ideal vacation. We make planning a trip to Canada really easy! We are experts in creating personalized itineraries. Our itineraries are built around your specific needs, interests and budget. We promise friendly and personal service every step of the way. Consider us your personal contact in Canada before and during your trip. We're based in Vancouver with first-hand ‘insider’ knowledge of Canada. Over the past 20 years, we have personalized more than 15,000 Canadian vacations. Flexibility and freedom of a personalized tour to suit your travel goals. Carefully crafted to your budget and needs. Someone in Canada you can call before and during your trip, seven days a week. You'll feel confident when booking your vacation with our accreditation and consumer protection through the following organizations. Cheapest type of travel with rigid itineraries and crowds. The Travel Assurance Fund (TAF) provides a possible source of compensation when consumers do not receive the travel services they purchased through a BC licensed travel agent. Our UK clients have the benefit of ABTA's assistance and Code of Conduct which means that all package holidays sold by Fresh Tracks Canada in the UK are covered by a full financial protection in the event of the company failure. We're one of the only agencies in Canada offering this protection. BBB has determined that Fresh Tracks (Canada) Inc meets BBB accreditation standards, which include a commitment to make a good faith effort to resolve any consumer complaints. BBB Accredited Businesses pay a fee for accreditation review/monitoring and for support of BBB services to the public. Fresh Tracks Canada is an IATA Accredited Agent. Full accreditation authorizes travel agents to sell international and/or domestic tickets on behalf of IATA member airlines. It also allows access to IATA's Billing and Settlement Plan (BSP), an efficient interface for invoicing and payment between the agent, airlines and transport providers. 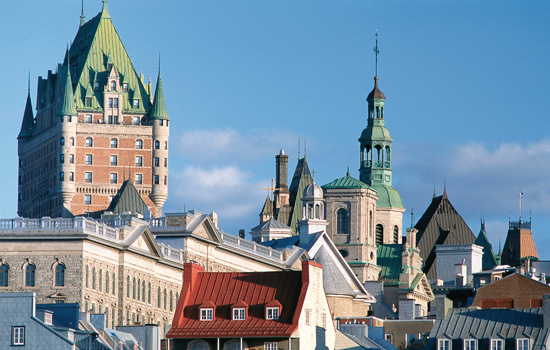 Plan your trip with advice from our Canadian Insiders who know the area really well. Choose your activities, experiences and hotels to enjoy between the scenic train tours. Have your trip organized and booked for a seamless experience. "Dealing with Fresh Tracks Canada makes the vacation a breeze. Once the planning is done, you can count on 100% execution from Fresh Tracks so that the only thing left to do on your vacation is to enjoy." What Will You See In Your Personalized Itinerary? Your trip at a glance – including private airport transfers and meet-and-greet on day one. Details of each day (transfer times, accommodations, activities) with attention to your special requests. What our personalized itinerary looks like. Recommends the right train experience for you and the best time of year to go. Takes care of every detail allowing you to make the most of every moment. Get the most out of every moment of your Canadian vacation. "It was such a pleasure to just sit back and have every experience planned by a professional familiar with area. The paperwork, itinerary and voucher pack was perfectly organized and easy to follow." With over 20 years experience in building over 15,000 personalized vacations for our guests - we've learned a thing or two about making vacations memorable. You'll feel secure knowing you have someone in Canada you can call seven days a week before or during your visit to Canada. Have someone local you can call before or during your visit to Canada. "When I discovered my passport had expired and had to reschedule the trip, Fresh Tracks didn't hesitate to reassure us that they would rebook everything so we didn't lose a minute of our planned vacation." Who is this trip plan and quote for? Would you like to spoil yourself with an extra special vacation in 2019? 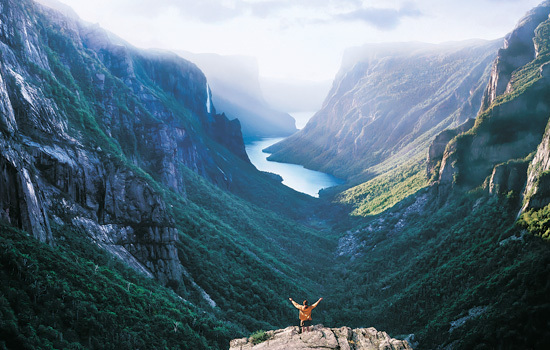 Book a qualifying 2019 Canadian trip with Fresh Tracks Canada before April 30th, 2019 and you'll receive up to $1,000 per couple in bonus travel credits. You can use the credits for extra nights, spectacular experiences, and unique guided sightseeing tours – to help make your personalized trip to Canada just that much more special. These are just a few ideas – but many more options are available. Call or email the Fresh Tracks Canada team to personalize your perfect Canadian vacation! But hurry – space for 2019 travel is filling up very quickly. This offer is only available until midnight on April 30th, 2019. Contact us to book your trip now! Terms and conditions apply, please speak wit our Canadian insiders for more details.